Why isn’t every town like Carmel? The village on the Central Coast of California is testimony in almost every way to the principle that beautiful, thoughtful design city planning and concern for the environment add commecial and lifestyle value to small communities. Carmel is more fortunate than many towns in its temperate weather and location on the Monterey Peninsula. The city is blessed with one of the world’s most beautiful white sand beaches within walking distance of its small business district. At the same time, however, no other similarly situated town along the coast is its equal in sheer charm and magic. Carmel was founded in 1902, mostly by artists. Artists dominated its city councils in its early years and artists were a number of its mayors. Their bohemian ways permeate the city’s culture. Carmel has numerous hotels, restaurants and shops that admit customers with dogs. The city laws prohibit wearing high heel shoes without a permit, a restriction that is not enforced strictly but protects the city from lawsuits caused by tripping on pavement distorted by tree roots. Located between Los Angeles and San Francisco, the town has about 4,000 residents and the business district is just 120 miles south of San Francisco. Carmel historically was inhabited by various groups of Native Americans. Spanish mariners discovered it in 1542 and a Carmelite friar named it after his order’s patron saint, Our Lady of Mount Carmel, in 1602. 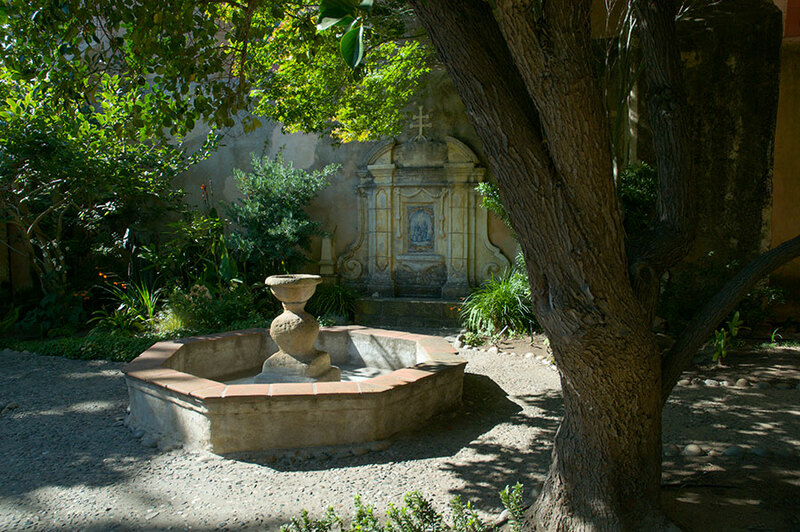 It wasn’t until Father Juniper Serra and Juan Crespi established the Mission San Carlos Borromeo de Carmelo in 1770 that the area was colonized. The coming of the Spanish was tragic for the local inhabitants, mostly died out in the 18th and 19th century from European diseases, overwork and malnutrition on the missions on which they were forced to live and work. 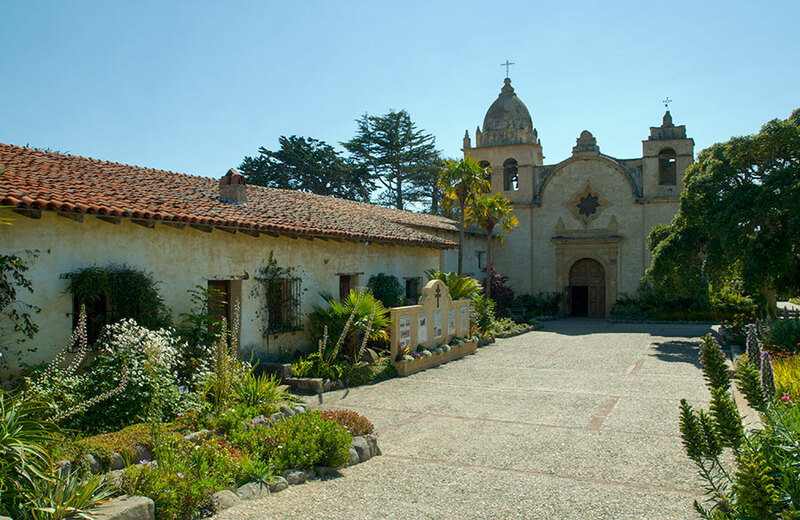 Father Serra died in 1784 and is buried at the mission next to Father Crespi. French businessman Honore Escolle purchased the area that was to become Carmel-by-the-Sea in the 1850s and subdivided it in the late 1880s, but lots weren’t sold until the early 1900s. A real estate investment company coined the phrase “Carmel-by-the-Sea" on a postcard. Artists flocked to the area from San Francisco after the 1906 earthquake destroyed many buildings there. The artists were offered building lots for ten dollors down, almost no interest and whatever they could afford to pay each month. Many famous artists and writers have lived in the village, among them Sinclair Luis and Upton Sinclair. The local Arts and Crafts Club sponsored artistic and social events in Carmel and Shakespear plays in Carmel and a number of world-renowned theaters have been located there over the years. Carmel continues to be a venue for well-known performers who participate in annual events such as the Carmel Bach Festival. 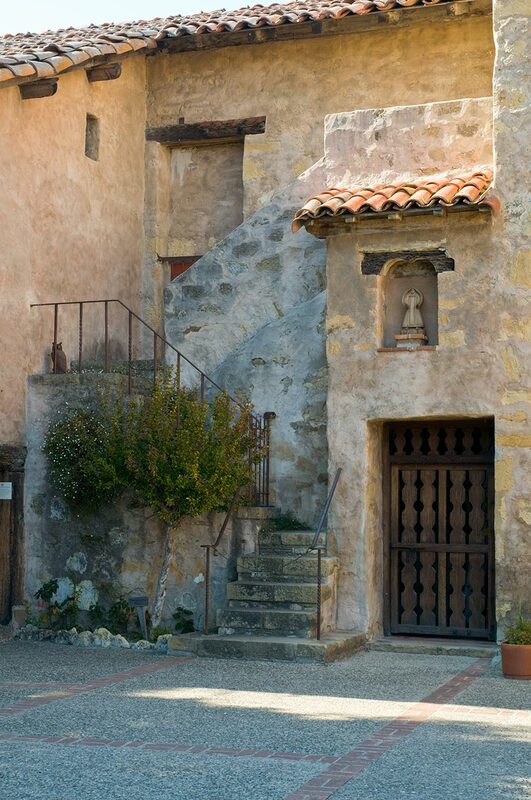 Many famous poets, photographers and novelists have lived in or visited Carmel, making it famous with their photographs, paintings and descriptions of the area. Some used famous architects to build landmark houses and cottages using granite boulders from the rocky shore of Carmel Bay. These homes were made more famous by the works that artists produced in them and the illustrious guests who visited them. Famous photographers such as Arnold Genthe did pioneering photography in Carmel. Legendary photographer Ansel Adams lived in the area and his prints of his photographs are still sold in Carmel. Most of Carmel’s restaurants have outside areas that allow dogs. Most offer water to them and a few have doggie menus. Many retailers allow dogs to accompany their owners in their stores and have dog treats available. Many stores have water bowls and dog biscuits in front. Police officers open cars that contain pets without adequate ventilation or water, remove the pets and fine the owners. 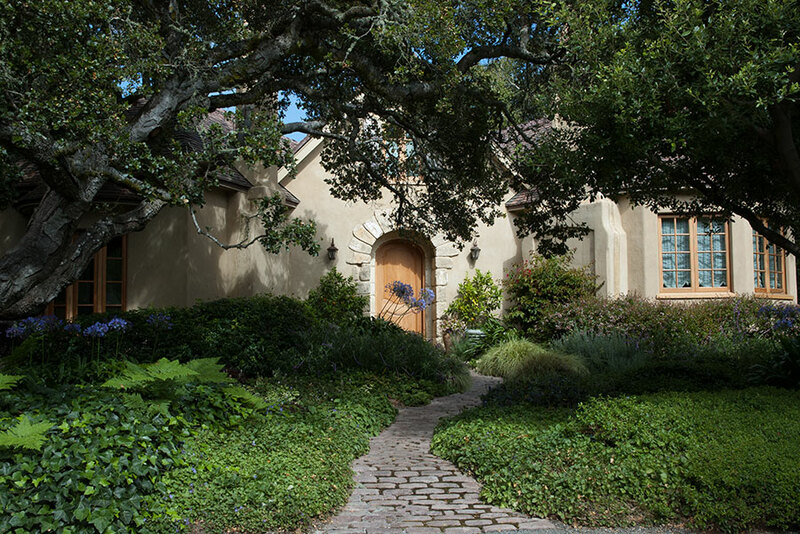 Carmel vigorously maintains its character as a "village in a forest overlooking a white sand beach," to quote the city’s general plan. The city has become an international model of an authentic storybook village in an urban forest. New buildings must be built around existing trees and new trees are required on lots that are deemed to have an inadequate number. Fences routinely have holes cut in them to allow trees to grow through them unencumbered. The village, which occupies about one square mile, has no streetlights, parking meters or street numbers on cottages and houses. Many of the houses are named. The Post Office does not deliver mail. Instead, residents go to the post office to pick up their mail. 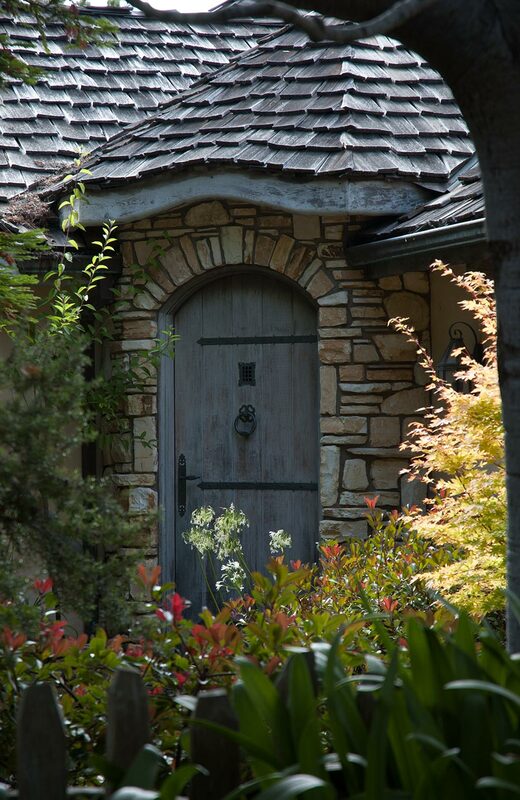 The storybook cottages of Carmel, with their quaint gables, storybook rooflines, shutters and arched doors and quaint gardens with winding paths and trees, are world famous and were the model for The Thoughtful House which is now under construction. Carmel's otherworldly approach to city planning has made the city ineffably charming and its real estate among the world’s most pricey. 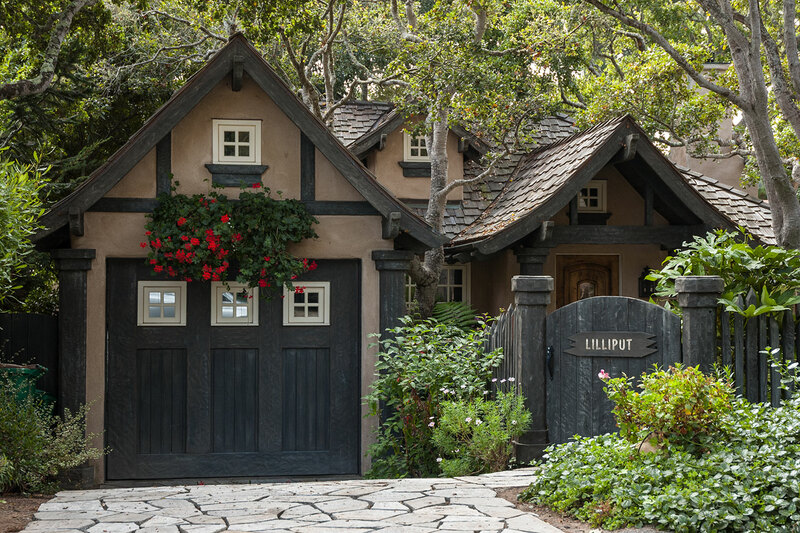 It is not uncommon for a small cottage in Carmel to sell for well over a million dollars. 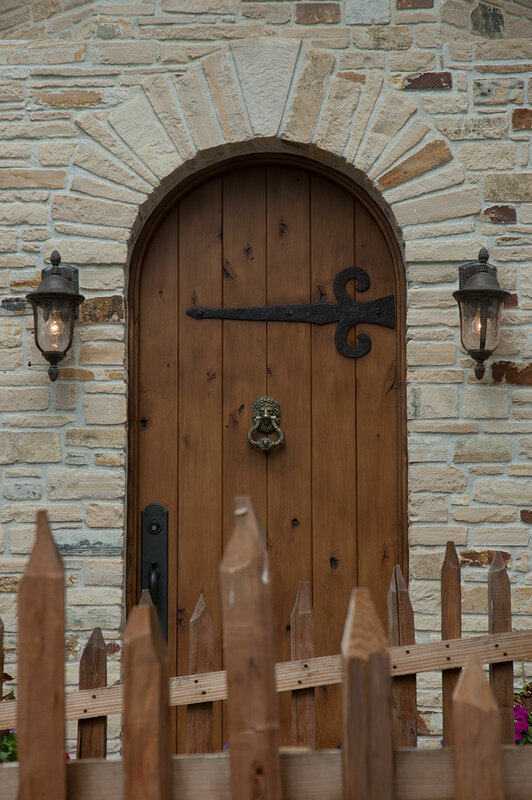 Many so-called cottages are cunningly designed to look small and quaint in front but are actually large homes.